A personalized nutrition, fitness and lifestyle program, that is scientifically designed and based on your DNA. You know how frustrating it is when you’ve tried and failed everything before, with fad diets and ‘one size fits all approaches’ to fitness? We found the same to be true too. That’s why we created the My DNA Coach Opti-Fitness Transformation Program™. As a client, you’ll be able to stop guessing with your health, and follow an online bespoke nutrition and fitness plan, which guarantees results. This is probably the most important part of your transformation. When you first meet with your My DNA Coach (MDC) accredited personal trainer, you’ll work together to identify precisely what you want to achieve. Crucially, your MDC PT will explore why that specific outcome matters so much to you. The first part of this is done on your application call, which you can do at anytime via the APPLY NOW button and is completely complimentary. It’s vital that you are emotionally connected with the outcome, because a clear vision now will get you through the days when you could be tempted to give up. Getting this right is key to the success of your MDC Opti-Fitness Transformation Program™. Because by sharing your vision, your MDC PT will help you refocus along the journey, so you stay motivated every step of the way. We’ll construct a health and fitness plan that’s scientifically designed for optimal results because it’s based on what make you who you are; your genes! By taking a swab of your DNA for lab analysis, we will map your entire genetic blueprint. It’s fascinating how much this reveals about what makes you tick. Your profile will reveal a huge amount, from which food groups suit you, to what type of exercise works best for you. Is variety the spice of life, exercise wise? Or does routine help you to stay focused and centred. Do you like lots of information about why you're doing what you're doing? Or do you prefer to just get on with it? To find out, we’ll ask you to take an online conative assessment. Because once we understand your natural instinct and talents, together with your modus operandi or ‘M.O’, we’ll know how best to engage with you. If necessary, a supplement plan. Scientific evidence (rather than guesswork) about the foods you should avoid make it much easier to avoid temptation. You’ll find your future decisions about nutrition and exercise change forever. Getting in touch with what your body craves is transformative. We help you hear what your body has to say, by translating your test results into a personalized nutrition and training plan that guarantees results. Our Opti-Fitness Transformation Program™ constructs a specific plan built on science, rather than guesswork. You’ll be guided by the hand through easy modules, as you transform the way you look, explode your energy and gain back the control you deserve. Finally an opportunity to to reconnect with the best version of yourself, leaving you fit enough to handle anything that life throws at you. With both home and gym workouts carefully designed to match your natural endurance, recovery time and genetic injury risk, you’ll avoid being de-railed by doing a program which just isn’t right for you. 3 Learn anywhere at your own pace. 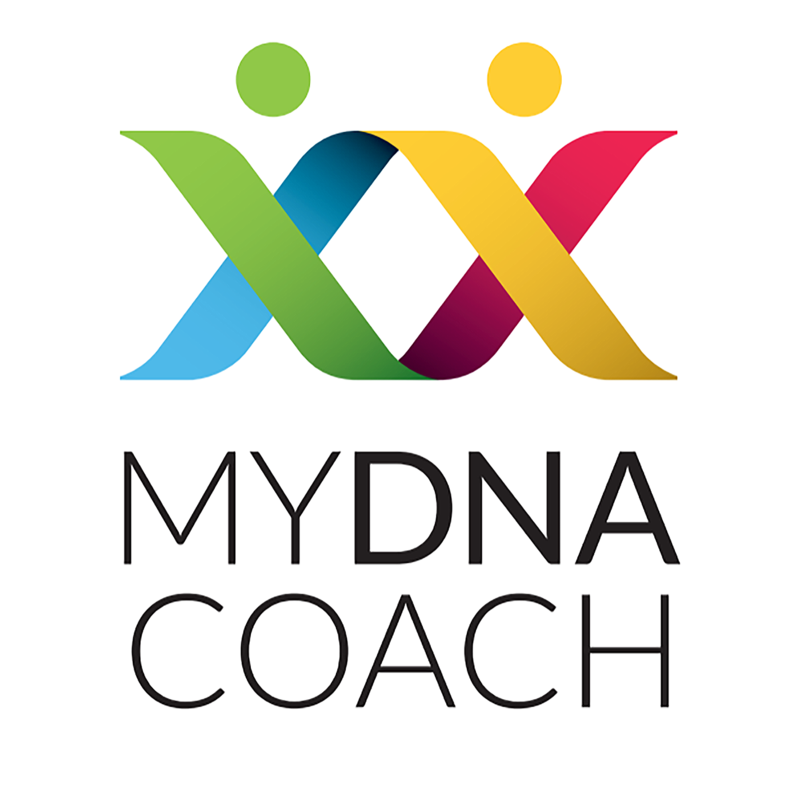 "The My DNA Coach flexible approach is something I can fit into my lifestyle"
"It’s great to have something that is unique to me"
"I had no idea the depth of knowledge My DNA Coach had in the area of wellness, genetics and the overall system to optimal health"
"Everyone should be doing My DNA Coach's system to reset themselves and discover a plan that is bespoke to them"
"Every human is very unique. For Jonny to create a customised plan in this way, is something I haven't seen in the industry before, and it's going to help a lot of people"
"What really attracted me to My DNA Coach, is that it gave me empirical data which is personalised and specific to me, rather than a one size fits all approach"
"It's been really eye opening for me!" "Jonny is not only doing groundbreaking work by linking DNA testing with fitness, but his personal level of commitment to your success is what really makes the difference." "The revelation of my DNA results has been profound for example after discovering I was a slow metaboliser of caffine, which was actually hindering my running endurance by having a coffee in the morning. I've seen incredble result in my training performances from just this one specific finding. And there are over +45 in the reports backed by science. Truly a game changer!" "I feel like I have a path and a direction and more of a long term solution for myself, something that's ongoing with support and education." "These people are just like me, it's not just about how you look in a bikini, it's about how you feel inside." "The results have just been amazing, in just 6 weeks I just have seen such another level of energy." "The self awareness is really what has helped, the foundation phase of the course has really paid off." "It's about keeping it simple, just get back to basics and what your body is designed to do.. My DNA Coach tells you what your body wants!" "MyDNACoach gave me the insight I needed to optimise my diet and fitness plan. It's a huge time saver. No more trial and error. I can now focus on the stuff that will give me the best results for my time and effort." It is in the combination of these tiny differences that we define our individuality, who we are. Genes interact with our environment – and modifying the environment modifies our “phenotype” – the way we are (e.g. a fair skinned person will only suffer from sunburn if she/he stays in the sun too long). Because we have some control over our environment (in our case exercise and nutrition choices) we therefore can work to create the best phenotype for our lifestyle. We focus our work specifically on these two realms of genetic science - Exercise Genomics & Nutrigenomics, with the aim of helping our customers train, eat and feel their best. Power based training recommended. Good muscle growth expected from weight training and strength sports. Good muscle recovery. Ensure blood pressure is monitored during high intensity exercise. Effect increased in conjunction with AGT C-allele. The D variation may increase sensitivity to refined carbohydrates and lead to reduced insulin sensitivity, this effect is aggravated in overweight individuals. The negative effects of the D variant on insulin sensitivity may be ameliorated by regular exercise. Mixture of power and endurance based training recommended. Endurance sports and high repetition weight training programmes recommended. Carriers have an increased volume of slow twitch muscle fibres and have greater aerobic efficiency and VO2max. The I allele is associated with lower ACE activity which is not associated with increased sensitivity to refined carbohydrates. Strength, speed and power gene combination (found in sprint athletes). Likely to increase benefit from explosive style training. Expected to be good at strength, speed and power activities, but less so than RR. Not associated with power. More frequent in endurance athletes and very rare in elite power athletes. Associated with vasoconstriction and blood pressure control. Associated with power, strength and speed sports. Carriers may achieve a higher than average physical improvement in strength, speed and power with training programmes. Carriers can have a greater susceptibility to high blood pressure and left ventricular hypertrophy. Monitor heart rate and adapt length of strenuous activity. Effect increased in carriers of ACE D allele. A more moderate form of CC: a power-based combination and susceptibility to high blood pressure and left ventricular hypertrophy, but not as much as CC. Not associated with power or endurance. Fewer problems with blood pressure, in fact regular exercise has been reported to have long term positive effects on age-related blood pressure. Associated with lower levels of inflammation after hard training sessions, leading to quicker recovery times. This genotype has been independently associated with performance in power sports. May experience moderately increased levels of inflammation after strenuous exercise. A longer rest period between training sessions may be required compared to GG. May experience higher levels of inflammation after strenuous exercise. A longer rest period between training sessions may be required compared to GG. Associated with regulatiion of the metabolic rate, mobilisation of fuels during exercise and also growth of lean body tissue. CC homozygotes are more likely to achieve favourable improvements in lean body mass and muscle growth with strength training programmes. CA and AA genotypes comprise >90% of the population and not associated with specific contributions to lean body mass and muscle strength. A more moderate form of AA: an endurance-based combination with good increases in VO2max, but not as much as AA. In studies, the Gly16 allele was associated with weight gain after dieting, especially when saturated fats are high. May benefit from higher intensity of exercise for fat loss. Likely to be less responsive to endurance training, although they may have a slightly quicker recovery from exercise. Not associated with increased sensitivity to saturated fats. Reports from studies include: Likely to respond well to endurance training, including good increases in VO2max. Good blood pressure responses to aerobic exercise. May have a slightly slower recovery from exercise. A more moderate form of CC: an endurance-based combination with moderate fat burning responses to exercise. The presence of the Glu27 variant contributes to increased sensitivity to refined carbohydrates. The Glu27 allele is linked to increased fat accumulation especially visceral fat in women. May benefit from higher intensity of exercise for fat loss. Effects are more pronounced in Glu-Glu homozygotes. Contributes to a reduced response to endurance training. Associated with an increased sensitivity to refined carbohydrates, may benefit from reduction. Contributes to positive response to endurance training, including good increases in VO2max. With regards to weight management, studies show increased fat oxidation with exercise. This genotype is not associated with increased sensitivity to refined carbohydrates or fats. Associated with normal fat sensitivity and exercise. G allele is associated with endurance sports. May have higher levels of slow twitch muscle fibres. These carriers may increase fatty acid mobilisation with training. Associated with both power and endurance attributes. Associated with lower amounts of PPARA expression which may contribute to increases in response to power training. Greater susceptibility to high blood pressure, which should be monitored. In various studies the A (Serine) allele has been associated with lower VO2max, endurance performance and exercise efficiency. Contributes to positive responses to endurance training and activity. Contributes to reduced response to endurance training and should make sure they stay sufficiently hydrated during endurance activities. A more moderate form of TT: an endurance-based combination with good muscular efficiency and cell hydration, but not as much as TT. Contributes to positive response to endurance training. Positive for increased muscle efficiency especially in conjunction with ACE I-allele. This genotype is more frequent in endurance athletes. No specific impact of this genotype on either power or endurance performance. Associated in various studies with moderately reduced risk of tendinopathies and linked to better range of motion (ROM). Studies reported T-allele contribution to moderate increased risk of tendinopathies. In studies of triathletes TT genotype was associated with better endurance running. But T allele also associated with increased risk of tendinopathy, see below. I allele = 'insertion' the gene is present in full and functioning normally. D = 'deletion' a part of the gene is missing rendering the whole non-functional and no protein is made. The absence of this enzyme can lead to greater levels of free radicals, increased fatigue and slower recovery from exercise. Your body has other enzymes that assist in these detoxification processes. Studies have shown that consuming cruciferous vegetables such as broccoli, cauliflower and other members of the cabbage family can promote the activity of these enzymes. In high saturated fat diets, BMI is reported to be significantly higher in CC homozygote individuals, indicating a heightened sensitivity to saturated fat. CT and TT genotypes are not associated with increased BMI in the presence of higher levels of saturated fat consumption. This genotype is not associated with increased sensitivity to saturated fats or refined carbohydrates. A single copy of the Thr allele associated with a moderately increased sensitivity to saturated fats. Also contributes to increased refined carb sensitivity. Two copies of the Thr allele in the FABP2 is associated with significantly increased sensitivity to saturated fats. Also contributes to increased refined carb sensitivity. AA is associated with significantly increased sensitivity to fats. Also may benefit from increased levels and intensity of physical activity. AT is associated with moderately increased sensitivity to fats. Also may benefit from increased levels and intensity of physical activity. TT is not associated with increased sensitivity to fats. Does not increase exercise intensity level requirement. ProAla is not associated with increased sensitivity to refined carbohydrates or saturated fats. AlaAla is not associated with increased sensitivity to refined carbohydrates or saturated fats. CC does not increase sensitivity to refined carbohydrates or saturated fats. Not associated with increased exercise indications. CT indicates a reduction in refined carbohydrates and an increase in fibre can be important in weight loss. One copy of the T allele is associated with a moderately increased fat sensitivity especially to saturated fats. Increased intensity exercise may be more beneficial. TT indicates a reduction in refined carbohydrates and an increase in fibre can be important in weight loss. TT is associated with significantly increased fat sensitivity especially to saturated fats. Increased intensity exercise may be more beneficial. Carriers may achieve favourable muscle growth and bone density with strength training programmes. Studies have associated this genotype with higher glucose levels in sedentary individuals and exercise was shown to normalise this. A more moderate form of CC. Associated with normal responses to exercise. Associated with lower levels of CRP which is associated with better VO2max response to training. Associated with lower levels of inflammation after hard training sessions, leading to quicker recovery times. Intermediate CRP levels and some benefits in VO2max response to training. May experience moderately increased levels of inflammation after strenuous exercise. A longer rest period between training sessions may be required compared to AA. May experience higher levels of inflammation (and CRP) after strenuous exercise. A longer rest period between training sessions may be required compared to AA. Contributes to a lower response to endurance training (overall response of an individual will depend on the combined effects of several genes). Moderate form of CC: an endurance-based combination with good muscular efficiency, but not as much as CC. Likely to respond well to endurance training. C-allele carriers produce a greater amount of VEGF. Good muscle efficiency and VO2max, and can potentially adjust well to altitude training. No increased tendinopathy risk associated with this genotype. Moderately raised risk of tendinopathy and osteoarthritis. Undertake prehabilitative exercises relevant to the sport and consider nutritional support for connective tissue. Increased risk of tendinopathy and osteoarthritis. Undertake prehabilitative exercises relevant to the sport and consider nutritional support for connective tissue. Our Scientific Advisory Board establish the scientific validity of the gene x environment interaction and its link to to personal fitness and nutrition utility. The board then present their findings to include in the reports only once the evidence is clear regarding an easily modifiable gene x environment interaction with a positive outcome, and that this effect is shown in multiple studies. We use hundreds of studies to bring you the genetic information in the report. Take a look below at some of our reference papers to give you an insight into the world of exercise and nutrigenomics.